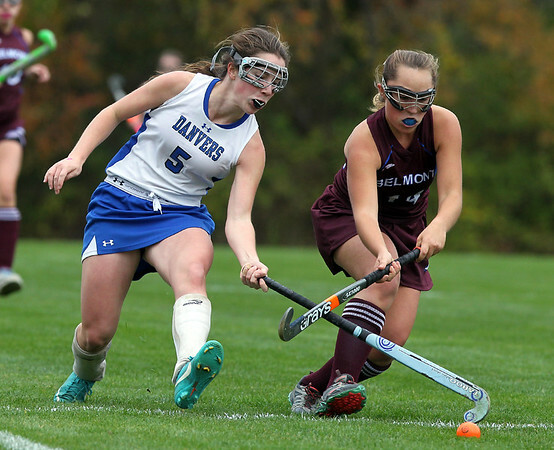 Danvers junior forward Kristen McCarthy (5) reaches in to poke the ball away from Belmont junior Molly Thayer (14) during the first half of play on Thursday afternoon. DAVID LE/Staff photo. 10/30/14.